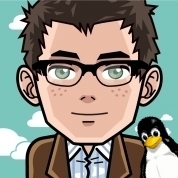 I am looking for a working patch or strings to patch manually for the 2.6.39 kernel (using 2.6.39-3) for patching with the older patch is not working fine. Tapping is still on and no vertical scrolling working. Could you please help on this? I am happy about any hint in this direction. which kernel you are running exactly? I am running 2.6.35-23-generic with a patched selfmade psmouse module with vertical scrolling enabled and tapping disabled. Since I experienced strange problems with performance with the latest 2.6.38-10-generic and dropped it again. When I run the 2.6.35-23-generic with the self maden psmouse module and I go and compile the latest 2.6.39-3 then tapping is enabled but vertical scrolling does not work. Does it mean the patch is still needed in the new kernel as well? I managed to make it work the same way with 3.0.0-rc6, but using the "patched patch" described here. does the second workaround also fix the disable tap on writing with alps on "Dell/E5420" with "ImPS/2 ALPS GlidePoint" ? I have a problem that on writing the cursor all the time jumps to the mouse pointer. This is really disturbing behavior. Someone a clue? That is another problem AFAIK. The problem seems to be that the touchpad is not correctly recognized as a real touchpad. A driver is currently being developed but it still has some problems when I tested it. While the touchpad works initially, it gets worse and worse as time goes on for me and my E6410. I find that loading psmouse with the proto=imps makes the touchpad work well for pointing, but scrolling is disabled. See my bug report here. What psmouse are you using now?